Twice per year, the club puts on an Introduction to Fly Tying Class. These classes run for three consecutive weeks, either on Tuesdays or Thursdays, from 6pm - 8pm. Our Education Director, James Clements, is a production fly tier himself. Either James or another expert fly tier from the club will lead a class to learn about fly tying tools, materials, and hooks needed to tie flies. You will move onto learning techniques from loading, holding, and adjusting the bobbin, to the pinch method to attach materials, to palmering hackle. Then you will apply that knowledge and tie some basic fly patterns. 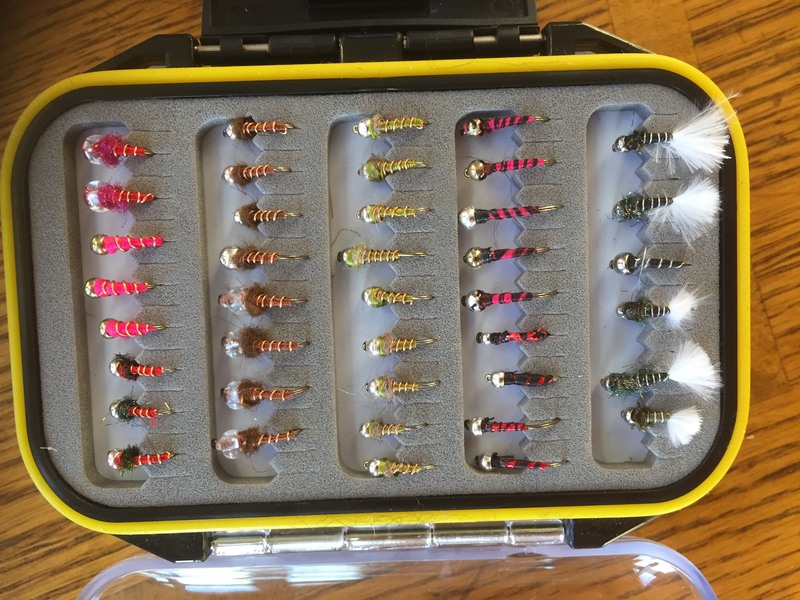 The club has basic fly tying kits, including vises, that you can use during the class and take home between classes to practice what you learn. All kits will need to be returned to the club at the end of the class. In addition, hooks and tying materials will be provided for the flies tied during the classes.